The world we live in is, without a doubt, incredibly fascinating and constantly changing. There are many wonderful things that have derived from change, and the fact that people are now able to live longer and better is one of the greatest gifts we could have ever received. Studies show that the elderly population is constantly increasing – in 2014, people aged 65 and older numbered 46.2 million – statistically, by 2060, this number will be much bigger, as the world will by then be inhabited by approximately 98 million older persons. 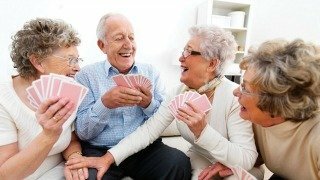 Even though most people are aware of the great influence that the elderly population has had on the world (these are the people that have built countries, helped the world advance and raised great generations), a lot of seniors aren’t able to enjoy this part of their lives, mostly because our society isn’t aware which are the best ways to help them. If we take a look at a recent survey conducted by the Central College of Australia, we find out that our elders are experiencing many fears and worries while entering the autumn of their lives. Most of these fears are connected to the physical changes that happen when we get older, the aging of the body and health issues that may reduce physical abilities, marking a great loss of independence. Fear of dying constitutes another significant fear, but it’s important to take into consideration that seniors also worry about the future of their grandchildren, considering the political climate with the likes of Brexit and Trump's ascendance to power. Getting old is part of life, it’s a great change that affects everybody and all of us want to follow this natural process while also being able to enjoy life at its fullest. As we already mentioned, fear of physical disability and lack of independence is one of the greatest fears that seniors are confronted with. Many of them are uncomfortable with asking for help or assistance, that’s why it’s important to be patient and understanding and allow them to take all the time they need in order to trust you and allow you to help them. Being helpful to an elderly person doesn’t only mean providing assistance and services, it also implies making sure they stay active as long as possible. It’s a lot easier to feel better and stay positive when your mind and body are engaged in pleasant, fun activities. Organize game nights; guide them towards a sport or a physical activity that isn’t too strenuous or otherwise overwhelming. This will help them learn that their bodies and minds still belong to them and that they don’t have to give up on the things they love. One of the most important things you can do to help seniors is to make sure that the environment they live in is safe and free of hazards. Make sure that the house is safe, prevent accidents by checking that there aren’t any scattered objects that may cause somebody to trip and fall, provide them with non-slip footwear that will prove very useful on smooth floors. Encourage them to always use the handrail when going up and down the stairs and keep the emergency numbers in plain sight. Listening to what they have to say and to their stories reminds them that they're needed and that their opinion matters. Be someone they can confide in, make yourself trustworthy and try to understand what they're going through and what they need. We all want someone who can listen to us without being judgmental or condescending. These simple guidelines are meant to be followed by anyone who wants to help the elderly people that are part of one's family, but they are also pivotal in helping anyone confronted with this important step. We should all try our best to help people, not only those that are closer to us, but anyone in need. This can only happen if each of us takes the time to think about how this process affects everyone’s life, how growing old is an incredible journey which, hopefully, all of us will get to experience. Aged Care helps older people enjoy their Golden Years and makes life easier for their families.